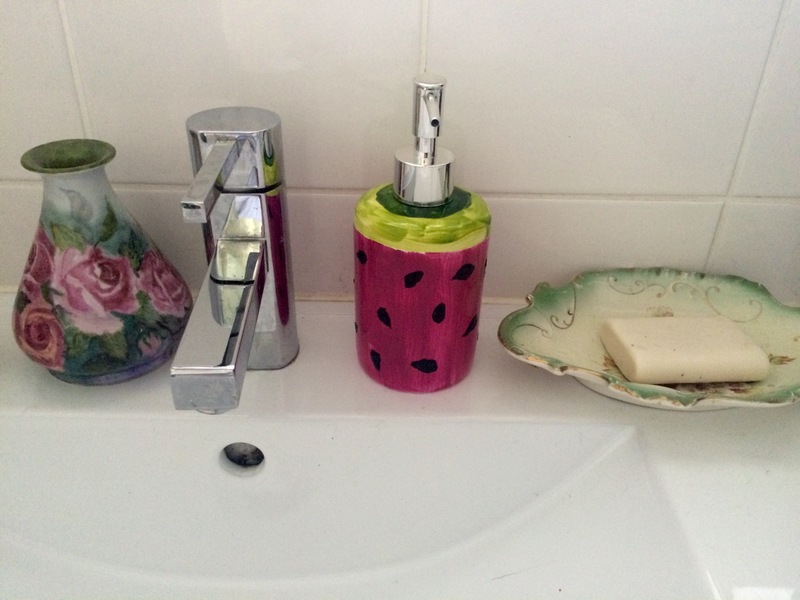 I came across a plain white ceramic soap dispenser in my local discount shop for just $2, so I snapped it up not really knowing exactly what I would do with it, but knowing I’d transform it somehow! 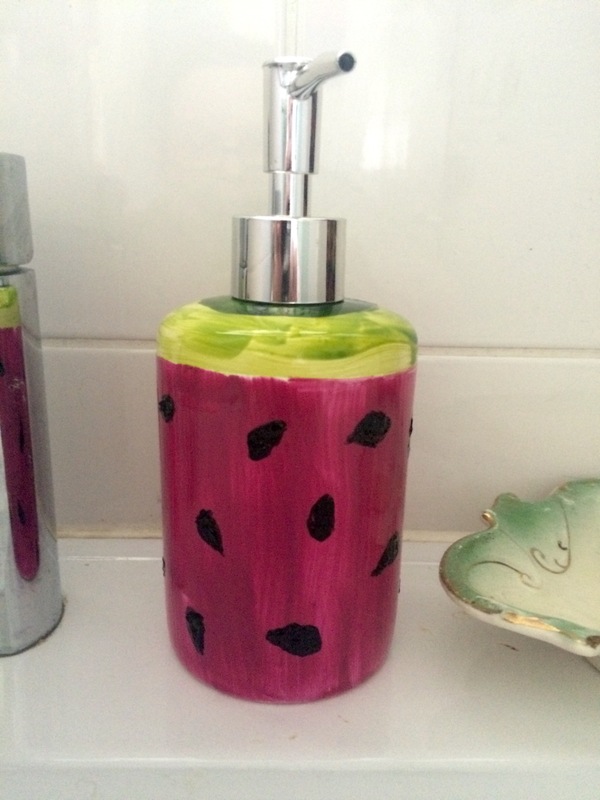 With some ceramic paints and black outliner, I painted a watermelon design on it. No mysterious method here, just taped off the ‘rind’ part to paint first, followed by the pink ‘flesh’. A darker line of green around the ‘stem’, then I used the outliner to draw on the seeds. 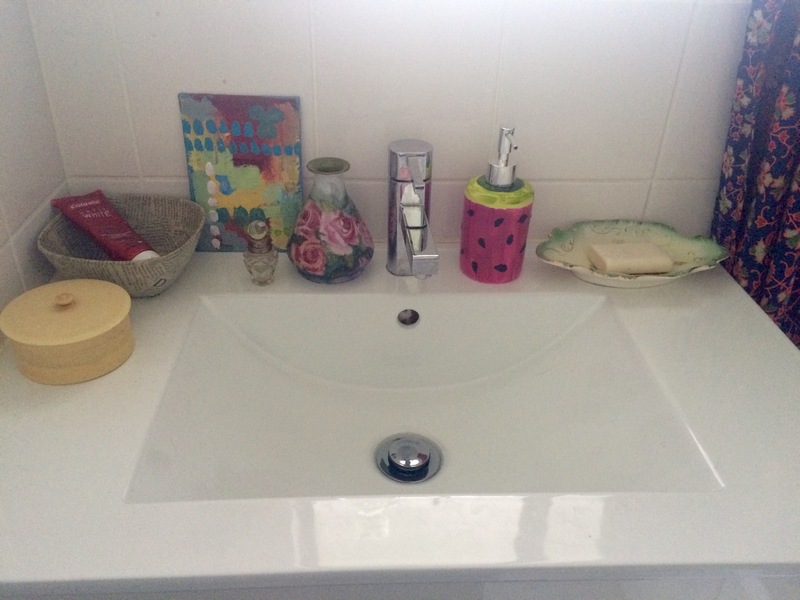 Baked in the oven at 150 C for half an hour, and it was ready to put to use in the bathroom! 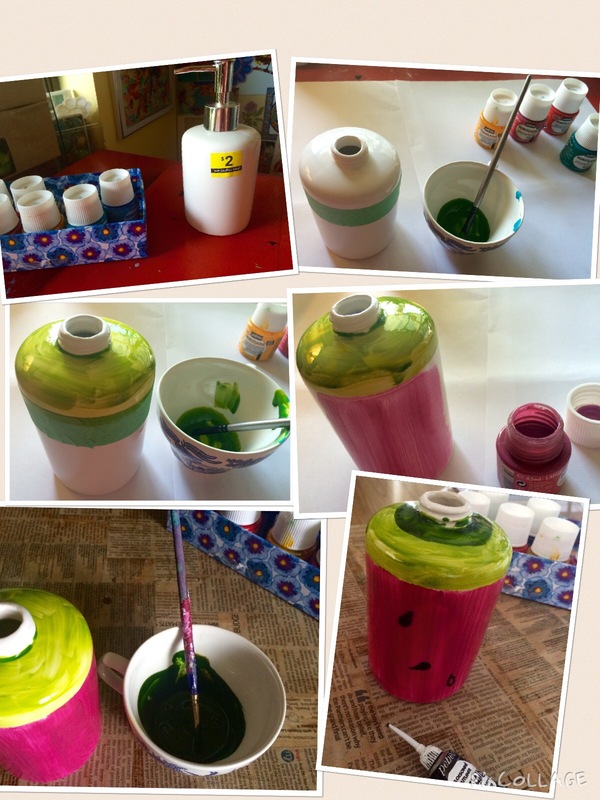 This entry was posted in Craft Projects, Home DIY and Decor, Upcycled Projects and tagged bathroom, ceramic, china, craft, dish, dispenser, diy, paint, soap, upcycle, watermelon. Bookmark the permalink.